Reduce vinegar and sugar until caramelised, add ginger, garlic, chilli and spices. Blend, return to heat and finish with soy sauce and seasoning. Split crayfish in half with a large knife, de-vein. 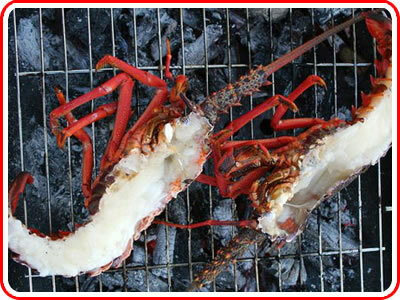 Brush the crayfish flesh with the sauce and sear, meat side down, on a char grill or flat BBQ plate for 2 minutes. Turn over and continue to cook for a further 3 or 4 minutes.